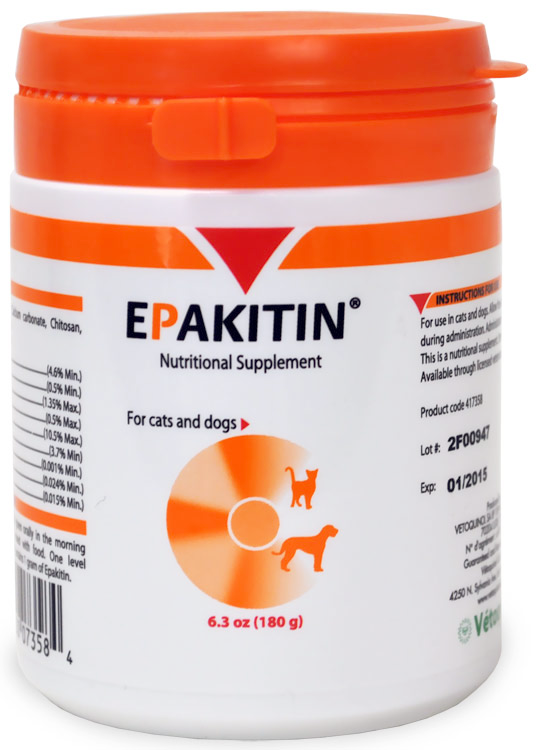 Epakitin, a nutritional supplement for dogs and cats, supports kidney function and helps slow down the progression of chronic kidney disease or chronic renal failure. 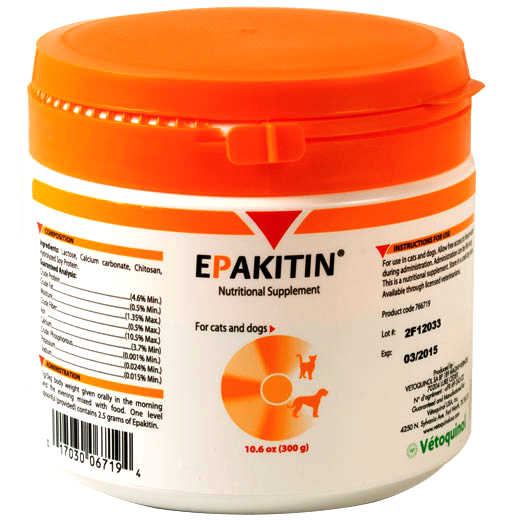 Epakitin can be given alone, mixed with dry or canned food, or used in combination with a low phosphorus diet recommended by your veterinarian. Make sure your pet always fresh drinking water. 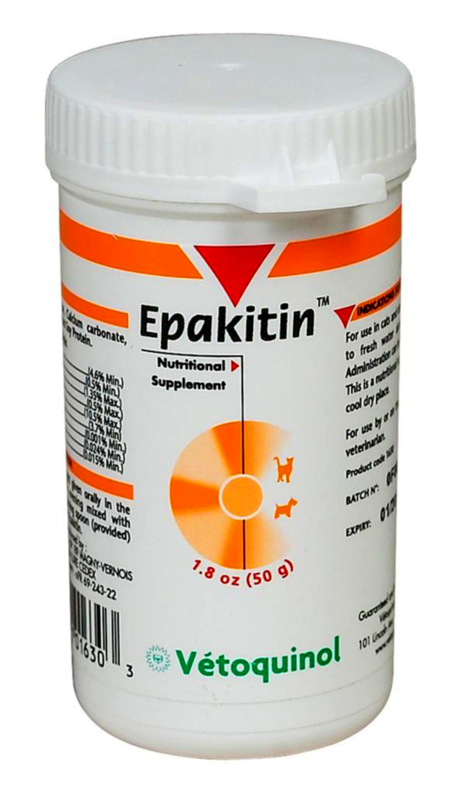 One level spoonful with the measuring spoon supplied provides 1 gram of Epakitin. Give 1 gram per 10 lbs/5 kg of body weight, twice daily, with food. For best results, use in conjunction with a low phosphorous diet.